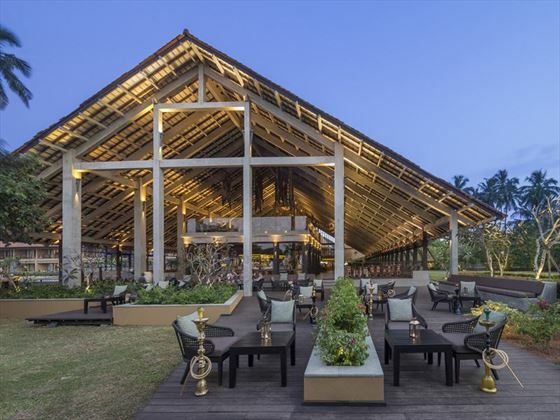 Located in the charming Kalutara region of Sri Lanka, overlooking the Kalu River and surrounded by exotic foliage, the Anantara Kalutara Resort & Spa is a dose of paradise in a tranquil setting. 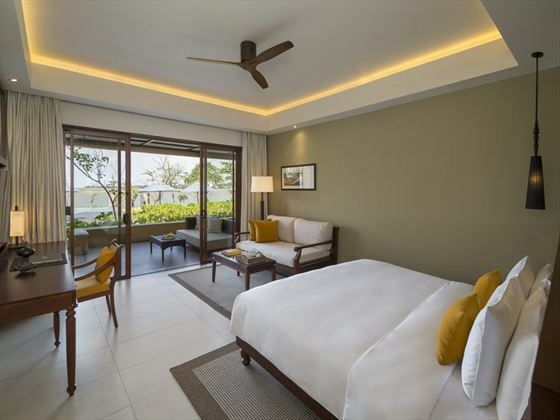 Offering spacious and modern accommodation, on-site restaurants and bars, and a great range of facilities to enjoy during your stay, this is the perfect base for a relaxed getaway where you can really unwind. 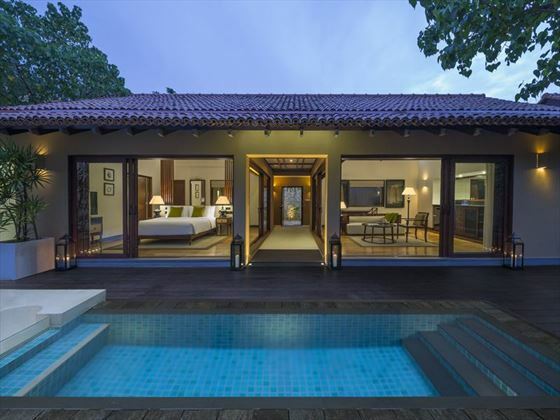 The location is ideal for soaking up the serene ambience, with tropical views of Sri Lanka’s southwest coastline – if you want to explore though, you’ll be within easy reach of the Colombo where you can immerse yourself in the urban hum of the city. 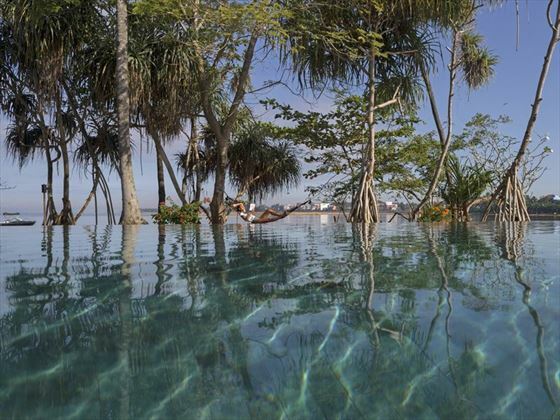 Enveloped by tropical flora and palm trees, Anantara Kalutara is an exotic retreat with stunning views of the Kalu River and the Indian Ocean. 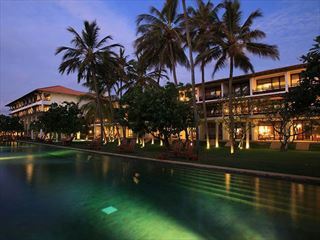 The resort is an hour’s drive from the city of Colombo and ten minutes from the town of Kalutara where you’ll find a host of historical attractions and local culture. 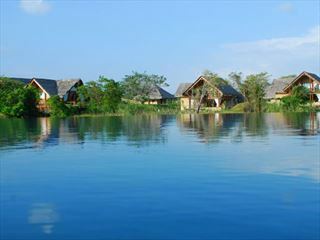 The resort offers 141 rooms, suites and villas, with views of the gardens, Indian Ocean or the Kalu River. 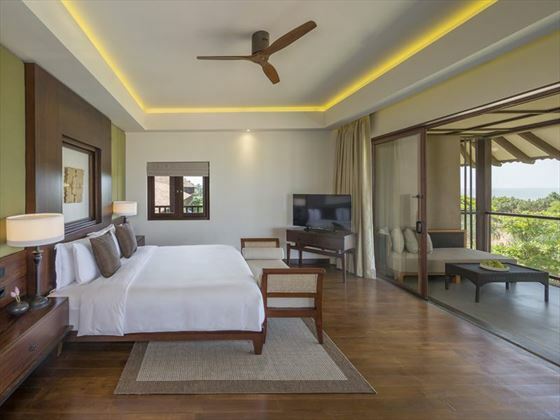 Rooms – Contemporary rooms with ocean or river views, en-suite bathrooms with separate bath and shower, and a private balcony or terrace. 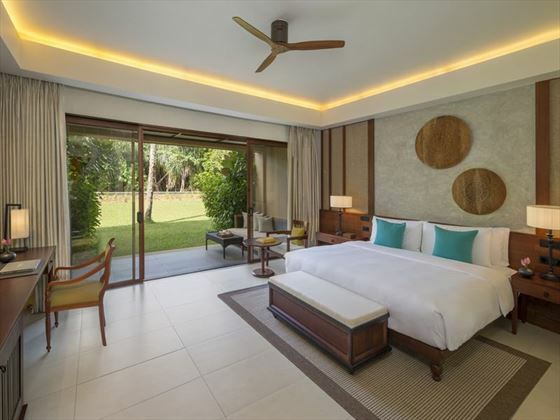 Pool Villas – Surrounded by tropical gardens, these villas are spacious and modern with a separate living area, private plunge pool and extensive terrace. 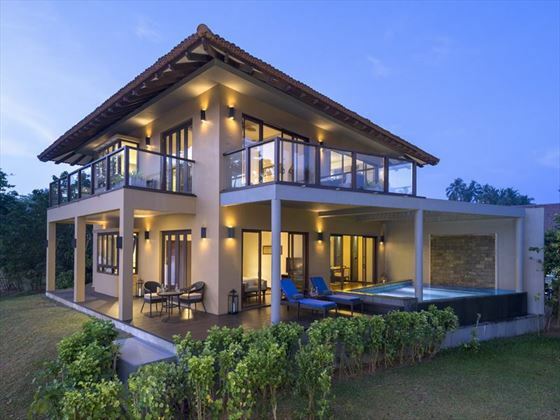 Families have the option of the Two-Bedroom Pool Villas for more living space. 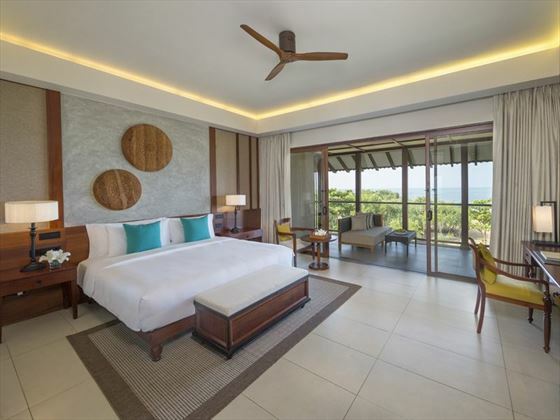 Suites – Luxurious accommodation with a separate living area, balcony or terrace with views of the lagoon or ocean and modern amenities; the Presidential Suite also has a private plunge pool. 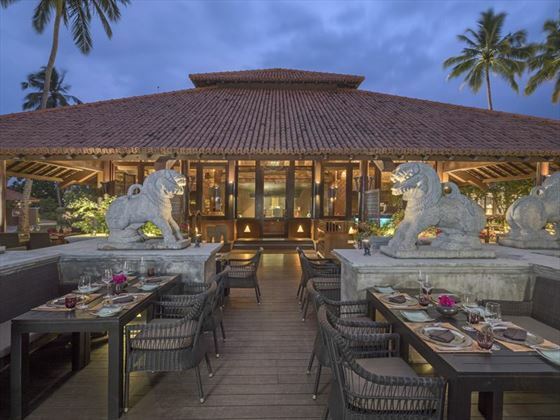 Olu - A gorgeous buffet restaurant serving Sri Lankan favourites alongside international cuisine. Open 7am-10.30am, 12pm-3pm, and 6pm-10pm. 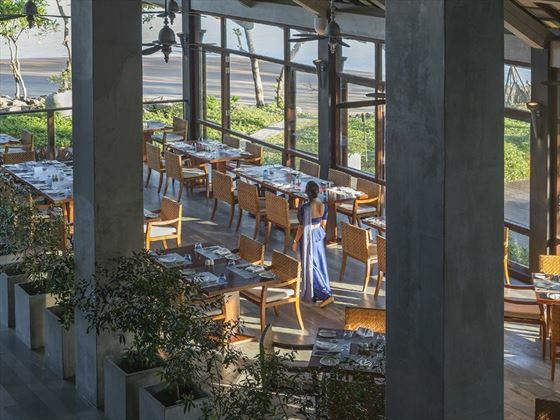 Acquolina - A lovely Italian restaurant offering fresh feasts in an al fresco setting. Open 12pm-6pm and 6.30pm-10.30pm. Bar is open 12pm-10.30pm. Spice Traders - A stylish eatery serving flavoursome Asian fare. Open 7pm-11pm. 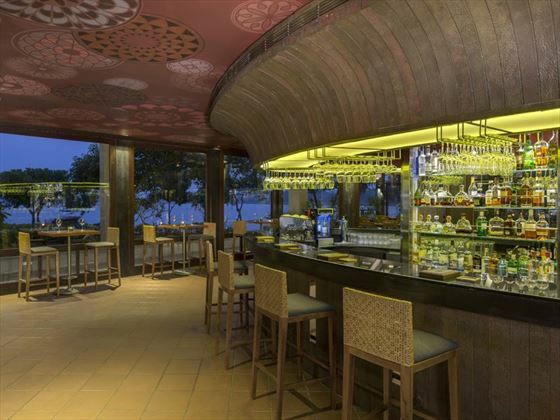 Upper Deck - A scenic lounge area that offers afternoon tea and sensational views of the lagoon. Open 2pm-6pm. Pool Bar - Offering refreshing drinks and snack by the pool. Open 9am-6pm. 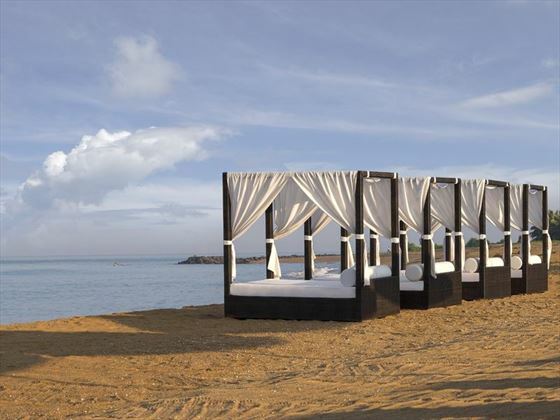 Dining by Design - A chance to enjoy an intimate dining experience on the beach. 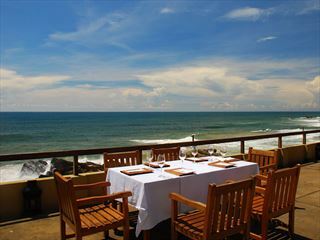 In-room dining - Enjoy delicious food in the comfort of your room, villa or suite. Available 24 hours. You are required to provide a valid Wedding Certificate or copy at check-in.